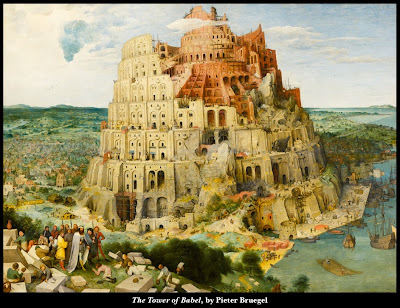 Remember the Tower of Babel? It was the biggest building project of its time. And it almost succeeded—until it didn’t. Babel serves as a cautionary tale for our own times. I think of teams and organizations like toolboxes. In a toolbox you have lots of different tools. Each of them is designed to accomplish a particular task really well. But most jobs require more than one tool. In fact, the more complex the task, the more tools are required. Now that’s the genius of the modern corporation. The collective strengths of an organization quantitatively multiply what any one person could accomplish on their own. For example, think of how many people combine their talents to create something as powerful, useful, and beautiful as a BMW, an iPad, a Golden Gate Bridge, or a Cirque du Solei performance. No single individual, no matter how gifted, could produce stuff like that. Even relatively small teams can achieve blockbuster results and create unprecedented value. Consider the team that started Facebook. Or the team of 70 medical personnel, led by Dr. Ben Carson, that was the first to successfully separate conjoined twins in 1987. Or a team of Navy Seals. Whatever the potential of a single person’s giftedness (which is enormous), the power of combined giftedness is almost beyond imagining. 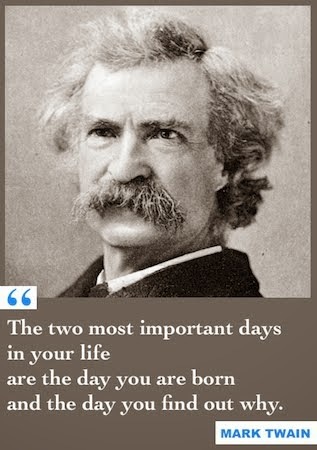 And humanity has intuitively known that almost from the beginning. More than just creating a structure, this group was creating an organization. Everyone was unified around a shared vision and a common purpose. And everyone had a role. Nothing will be impossible! Such is the power of a team. There’s just one small catch: everyone on the team has to speak the same language. At Babel, everyone started out speaking the same language. Literally. Contrary to the Lord’s instruction to “fill the earth,” the people of that era had stayed put. Why? Out of fear? Laziness? Lack of leadership? Defiance? The Genesis narrative does not say. Whatever the reason, the Lord confused the languages of the workers and the project immediately ground to a halt. So it is today. When workers “speak the same language,” good stuff tends to happen, because they understand each other. Trust is built. People feel heard and appreciated. Vital information is exchanged. Values get reinforced. Misunderstandings get resolved. There’s a better use of everyone’s energy because each tool knows when to make his/her contribution. But of course, many of us work in organizations where we don’t speak the same language. In fact, we discover that every tool speaks its own language! Hammers speak the bold language of hammering. Screwdrivers speak with the steady, plodding, circular logic of screwdriving. Saws speak the rough dialect of sawing. And drills whine away in their native drilling. What language do you speak? How about the people you work with? My own view is that 90 percent of the conflicts people have with one another start with how they are wired. That wiring predisposes them to speak a certain language. The result is that two people can be working on the same assignment, but because of their wiring, one of them sees it one way, the other sees it another way. So when they start to talk about the work, confusion and misunderstanding are almost inevitable (unless they just happen to speak a very similar language; that can happen, but it’s rare). I don’t have all the answers for avoiding workplace conflicts. I certainly reject any thought that we humans can ever be made to speak just one language. That would be a mistake. We need a multitude of perspectives and strengths. But one thing would help. The next time you find yourself in a disagreement with a coworker, step back and ask: What language is this person speaking? It may be a totally unintelligible language to you. But that doesn’t make what the other person is saying “wrong.” It just makes it different than what you would say. In truth, the other person is probably saying something you absolutely need to hear and pay attention to. But you’ll miss it if you dismiss them as unintelligible (or worse). That’s what the people at Babel did. In frustration, they walked away from each other—the way a lot of people do today. Apparently they never considered the more productive option of translating their different perspectives. If you can decode what your teammates are trying to express, you’ll unlock the power of the team. That’s huge! In fact, it’s decisive, because when you’ve got a team committed to a shared vision and a common purpose, and all speaking the same language—nothing will be impossible! Question: What’s a situation you’ve experienced where a misunderstanding all boiled down to a confusion of “languages” between you and the other person?